It was late at night and I sitting in a cafe’ on Montreal’s St. Laurent Street describing Karimabad to my friend. “You’ve described heaven,” my friend noted with a laugh. Which is not entirely untrue. If people told me there was another place in the world like Karimabad, I wouldn’t believe them. Year after year, we’ve returned to Karimabad and the charm has not worn off. There’s no better place to unwind after a trek. Every year we spend a few blissful days in Hunza and the rest of the time dreaming about it. Here’s our resource guide to Karimabad and a description of what we love most about the town. Like all other resources on our site, our judgements are based on our personal experience in the area, and are not supposed to be the last word on travel in the region. Note: People all across the Hunza Valley have beautiful manners. When travelling in the valley please be extra polite and courteous with the locals and make it a point to dress conservatively. The gentle and hospitable people of Hunza are a far cry from the unfriendly folks down in Gilgit–Getting there and away and Kohistan. But remember that despite the rapid increase in tourism in the area over the last decade, Hunza remains a deeply traditional society. This is reflected in their dress, personal manners and the way in which local people interact with their elders. It is the responsibility of each tourist to be deeply respectful of local traditions. The Hunza Valleys lies north of Gilgit–Getting there and away along the Karakoram Highway. Population is settled in small towns and villages along the valley. Of the numerous small towns that dot the valley, Karimabad is the tourism hub in Hunza and arguably one of the most picturesque towns in all of Pakistan’s Northern Areas. Vans leave for Aliabad and Karimabad regularly from Gilgit and cost Rs. 50/- one way. To get to the bus station in Gilgit ask any of the vans plying the streets in Gilgit to take you there. Vans for Gojal , North Hunza, leave from the Gojal Udda , albeit a lot less frequently. Gilgit–Getting there and away to Karimabad takes three hours including a traditional tea/food break at Nomal, the halfway point. Most vans go all the way to Karimabad, while some stop in Aliabad. 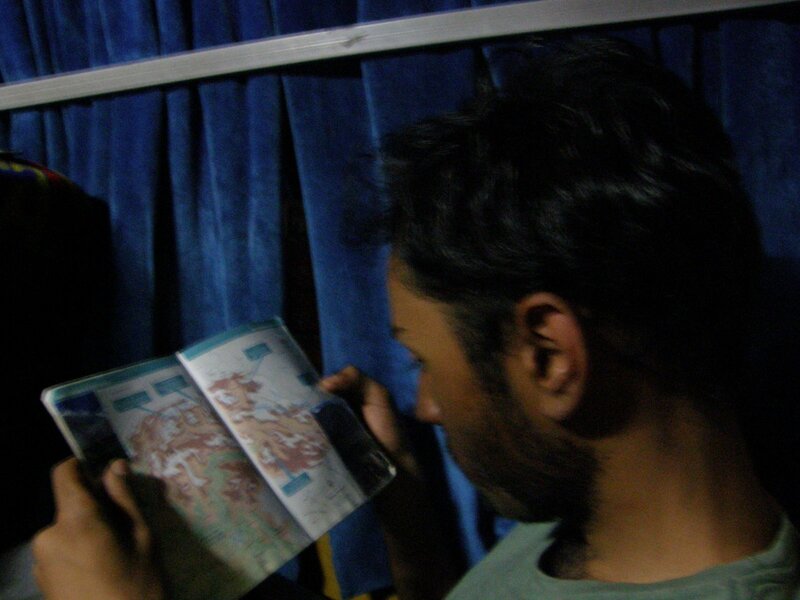 If your van stops in Aliabad, jump onto one of the Suzukis that run between Aliabad and Karimabad. The ride takes 10 to 15 minutes and costs between Rs. 5/- and Rs. 15/- depending on how much luggage you have. Vans to Passu and Sost in North Hunza take between four and six hours from Gilgit–Getting there and away . NATCO also runs public buses between Gilgit–Getting there and away and Sost that leave early in the morning. If time is short and money is not an issue, a private jeep from Gilgit–Getting there and away to Hunza should cost you no more than Rs. 1,000/- while jeeps to Passu cost Rs. 1,500/-. Jeeps are plentiful in Gilgit–Getting there and away . Ask around in the main bazaar for the best rate. 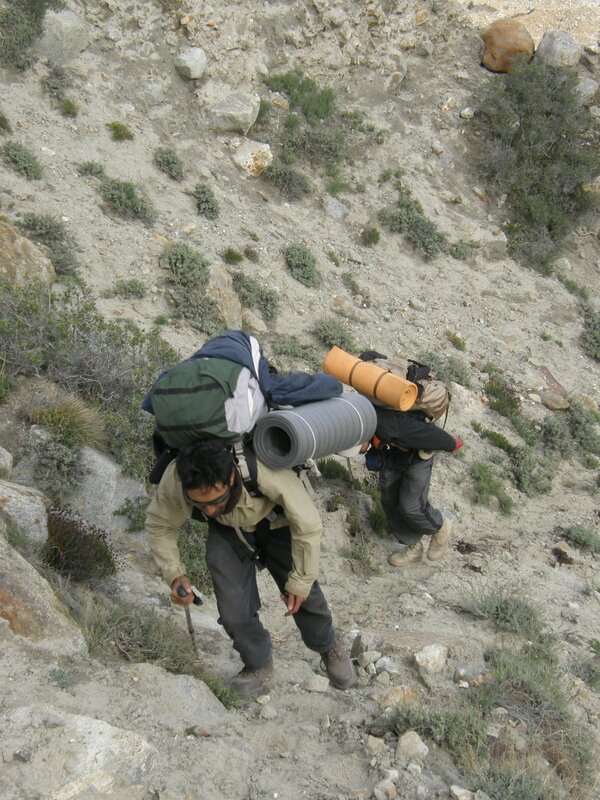 To return to Gilgit–Getting there and away from Karimabad, simply backtrack your steps. Keep in mind that vehicles leaving from Karimabad to Gilgit–Getting there and away do so only at dawn. Later in the day, catch a Suzuki to go down to Aliabad from where vans leave regularly for Gilgit–Getting there and away . There’s no shortage of options in Karimabad. However, we always make a beeline for Hill Top Hotel. With a friendly management, superb views, a peaceful garden, and comfortable clean rooms we do not feel the need to experiment. The hotel is run by Javed and Alam Shah who always welcome us regardless of whether we show up in a group of 150 or two. There’s at least two dozen hotels in Karimabad, so you can walk up and down the length of the town and find a place that suites your taste and budget. The Punjab Sindh Hotel and Restaurant has a few rooms by a great terrace that are popular with young male Pakistani tourists. Higher up the road, Karim’s Hotel has a few inexpensive rooms and a terrace with a fantastic view. On the more expensive side, the Darbar Hotel always appears to be empty, and is Karimabad’s answer to a five star urban monstrosity out of place in Himalayan splendor. The PTDC Motel, run by the Ministry of Tourism, is by the KKH in Aliabad. Despite expensive rooms and astronomically expensive food, the place has a regular clientele of high level bureaucrats and their families, and suspect looking feudal types who drive Rs. 5,000,000/- Pajeros. There are quite a few other hotels scattered along the The Karakoram Highway around Aliabad. Note that Aliabad is a thousand feet lower than Karimabad and the view from this town isn’t as spectacular as from Karimabad. Our suggestion is to stick to Karimabad or head out to Gulmit or Passu in North Hunza for a complete change of scene. Two words: Punjab Sindh. People brought up on Pakistani cuisine unanimously agree that the food at Punjab Sindh Hotel is arguably the best food in the Karakorams if not the country. The establishment is run by the friendly Nasir Shah, who personally supervises the preparation of the food. You really can’t go wrong ordering food – try anything and everything on menu. In addition to the standard Pakistani dishes, Nasir offers a range of divine nans, and as of this summer (2001) started preparing mango lassi that is perhaps the greatest mango milkshake in the world. In short, Punjab Sindh is the greatest place to chow down after a monotonous trek diet of noodles and beans. In addition, as the evening progresses the restaurant turns into a colorful hangout for local guides, musicians, and other fascinating characters from Karimabad with Punjabi bhangara as background music. An entire essay could probably be written on the memorable evenings we have spent at this establishment. Because of it’s fantastic food, reasonable prices, and friendly atmosphere, Punjab Sindh has become popular with domestic tourists. Expect to wait a while before your food is ready or place your order in advance. Besides our favorite, there is no shortage of restaurants in Karimabad. Most hotels do the standard fare of Western and Pakistani dishes. Mountain Refuge usually has excellent biryani for lunch and their peaceful garden with lovely trees is a great place to linger for a few hours after a meal or late at night and chain-smoke a pack of cigarettes. Ultar Hotel has reasonable food and a garden with a terrific view of Altit village especially in the evening when the lights in Altit come on. Mulberry Inn is another peaceful establishment with many local Hunza dishes on their menu that are worth trying at least once.